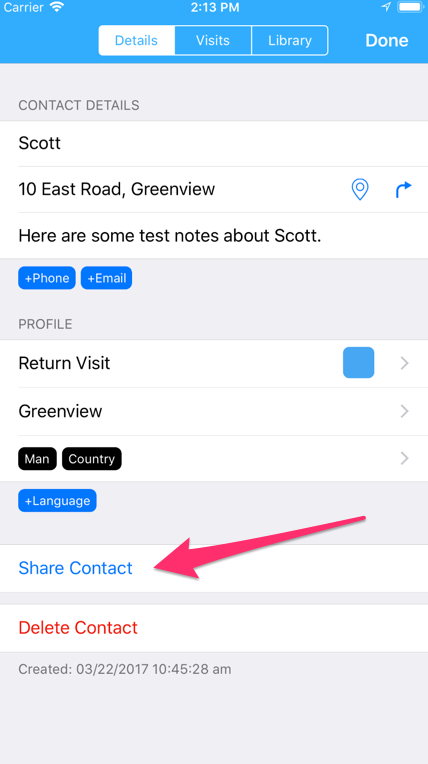 On the main Detail tab of the Contact window you can now “Share Contact”. This will generate a formatted email with all the contacts details and a full history of visits made to the contact. It includes any location information including a link through to Google Maps. The email does not yet allow other users of ServicePlanner to import the Contact on their device – that feature will come in the future. 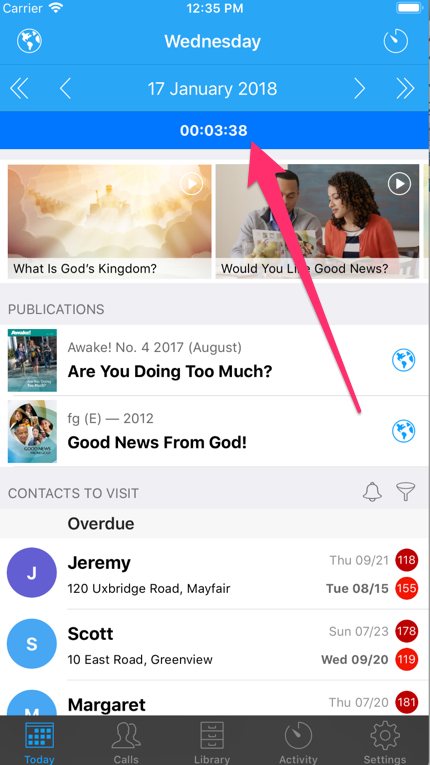 Note: You must have the settings in place for the default Apple Mail app to work on your device for any email to generate from ServicePlanner. There is a new option in Settings > Workflow so that when new Visits are created against a specific Contact type, ServicePlanner can now auto-set the time to the scheduled appointment time, rather than the current time. 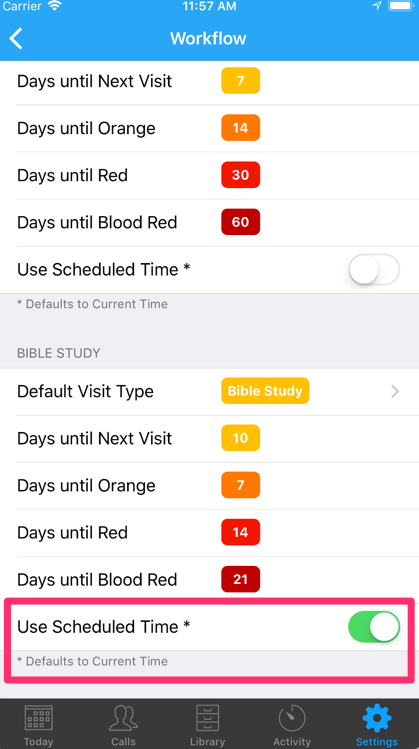 For example if you have a Bible Study scheduled for 10am, and you log the new Visit afterwards at 11:15am, the new Workflow setting will auto-set the visit time to 10am and the Next Visit Time to 10am as well. Some users were having trouble tapping the Timer Bar. 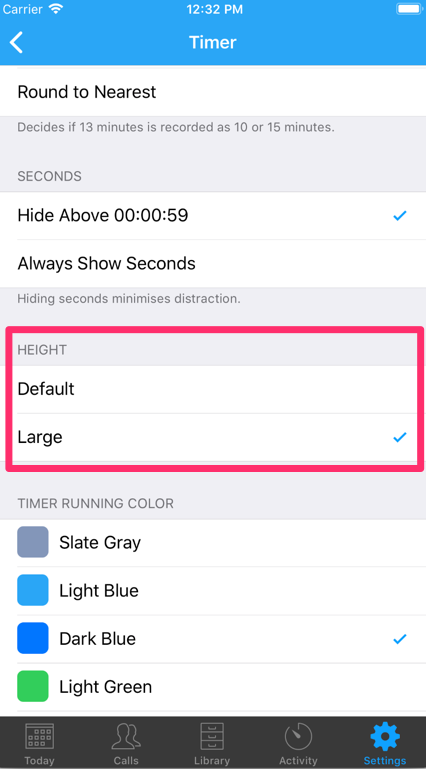 I have added a new option in Settings > Timer so that you can make the Timer Bar larger / taller.